Jamie began his career at Peterborough United, rising up through the youth ranks to make his first team debut in the League One match against Doncaster Rovers in February 2005. While with the youth team, he had an unsuccessful trials at Manchester United and West Ham United. Prior to that debut, he went on a one month loan to Conference side Crawley Town in September 2004, but only made a single appearance. He went on to make some 118 appearances for the Posh in five seasons as a professional at London Road, but found his appearances with the club in the Championship somewhat limited. 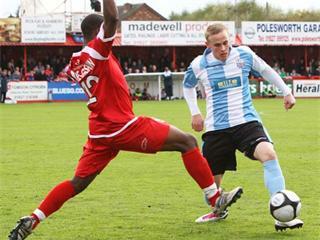 He went on loan a two month loan to League Two side Dagenham & Redbridge in November 2009, before being released in the summer of 2010. 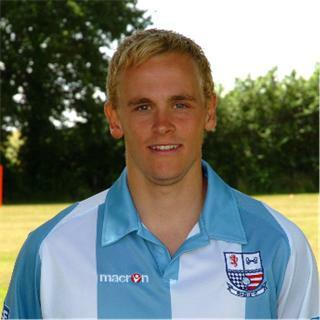 Jamie signed for Diamonds on 1 July 2010, and was primarily a left sided attacking full back, able to play as a winger in midfield if required. He missed the first four games of the season due to injury, but made his debut at Nene Park against Grimsby Town on 28 August 2010. He only missed a further five games during the remainder of the season (three due to suspension), scoring just a single goal from a short corner at Cambridge in February 2011. Following the financial uncertainty at the end of the season, he was released from his contract at the end of the season, and joined newly promoted League Two side Crawley Town on 27 May 2011. His appearances were limited after requiring surgery for a back injury suffered during a pre-season game, and he went on loan to fellow League Two side Aldershot Town on 16 November 2011, until 7 January 2012. After a further back operation, Jamie was forced to announce his retirement from the game in August 2012.